As golf courses get longer and longer, there has never been a more important time for mid-handicappers to get more from their driver. A new driver with optimized features can give a mid-handicapper up to 20 yards instantly on their drive. Simply put, longer drives can bring the golfer better birdie chances and lower scores. Most amateur golfers are using substandard or old equipment that limits ball speed and launch angle. It is vital in this modern era of golf to play a driver that lifts the ball to give the amateur golfer maximum carry for increased distance. Sadly, however, too many mid-handicappers are locking themselves into their current average score because the equipment they are using isn’t tailored to their game. 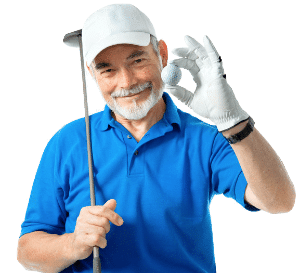 This guide for the best golf drivers for mid-handicappers is going to rank drivers that will immediately improve your game and explain the features you need to know to make sure you are finding the right driver for you. 4.1 When should I use a golf driver? 4.2 What are the key factors to create an ideal golf shot with my driver? 4.3 What features do the best golf drivers have? 4.4 What’s the difference between drivers and woods? 4.5 What is an adjustable driver and is it truly useful? 4.6 How do you know if a driver is USGA-approved? 4.7 How do I measure a golf driver shaft length? 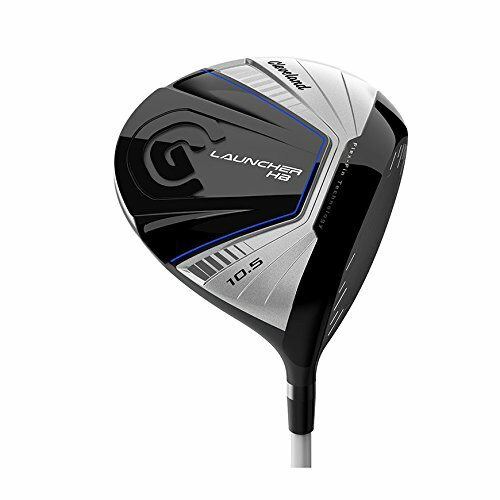 4.8 For a mid-handicapper, should I get my driver custom fitted? Expensive, but worth the trouble if you are serious about improving your game. One of the most customizable drivers on the market is the stunning Callaway Rogue driver. Although we’ve taken the time also to review the Rogue Draw driver in this article, the standard Callaway Rogue driver is the model that the entire golfing world has been raving about since its release. This driver is a marvel of technology with an aerodynamic clubhead aided by Jailbreak technology that keeps the club light throughout the swing. The Rogue delivered eye-popping drives throughout our testing time making it one of the best overall drivers we’ve ever seen. What makes the Rogue so unique is how the driver’s technology enhances the results of your shots off the tee box. A stiffer clubhead, boosted by the Titanium bars that fuel the Jailbreak technology, gives you excellent feedback at impact for a pleasing sound that just fills you with confidence after each drive. The increase in ball speed and the resulting distance is unavoidable and will have you smiling from the first tee to the 18th green. 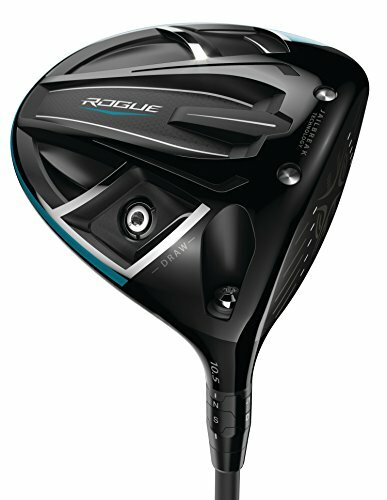 The adjustable features on the Rogue include the ability to increase the loft by two degrees as well as place the driver in a draw bias offset. These features are convenient during rounds where the wind is playing a factor and making it difficult to shape shots. For professional performance with eight different playing combinations, the Callaway Rogue driver is a remarkable piece of golfing equipment. For golfers who don’t like adjustable features and prefer a set hosel with static loft, then there is very little competition for the Cleveland Launcher HB driver as it is in a class above the rest. With a sleek and drag-resistant clubhead, the Launcher HB delivers secure and reliable power to the golf ball as the company touts the driver as its lightest driver to date. The secret to the Launcher HB’s success is the emphasis that Cleveland has placed on increasing the launch angle of this driver over previous models. Tailor-made for the mid-handicapper, the Launcher HB produces straighter drives with stunning accuracy. After taking this driver to the range, we noticed that the feel at impact of the Launcher HB was incredibly stable and worthy of attention. Another highlight of the Launcher HB is the combination of the Flex-Fin clubface that very forgiving and deeper center of gravity that works in unison to enhance accuracy and distance. Now, golfers who prefer more bells and whistles may find this driver to be lacking in shiny new features, but they would be making a mistake to dismiss the Launcher HB as ordinary. Everything that Cleveland has done with this driver has been designed to increase the areas of your game that the mid-handicapper struggles in the most. From higher launch, longer carry, to increased distance, the Cleveland Launcher HB is one of the best fixed hosel drivers we’ve tested in quite some time. Once you play it, you’ll see what all the fuss is about as the Launcher HB is a fantastic driver for the mid-handicapper. For the mid-handicapper looking for a draw driver, the Callaway Rogue Draw Driver takes all of the standard features of the Rogue driver and gives the club face a slight draw bias. This offset allows golfers who are experiencing problems with their slice to correct them from the tee box rather than taking hours of painstaking lessons. The Rogue comes with Calloway’s patented Jailbreak Technology that reduces vibration and enhances the golfer’s ability to cleanly hit the golf ball with power and accuracy. The sweet spot in the Rogue Draw is large for added forgiveness and increases the golfer’s ability to utilize the draw bias so golfers can hit the longest and straightest drives of their golfing career. Primarily known as a pro-level driver, the Rogue is made from Carbon for a lighter feel that delivers a solid sound through the impact zone. Callaway has lowered the center of gravity in the Rogue and moved it deeper inside the clubhead so the golfer experiences an increase in launch angle that will maximize distance and carry. Another great feature of the Rogue is that Callaway, with assistance from Boeing, enhanced the aerodynamic ability of the clubhead to reduce drag on the downswing, so the clubhead comes through with maximum swing speed. As a result, golfers can expect a jaw-dropping increase in distance off the tee box. The Rogue comes with three different loft options to choose from, so the golfer will find what loft angle works best for their swing. If you need help with your slice and you want a high-performing driver to improve your launch angle and distance, then the Rogue Draw Driver is a one-stop shop that will have you amazed by how dramatically your yardage off the tee has increased. Golfers in market for adjustable drivers may want more features at this price point. 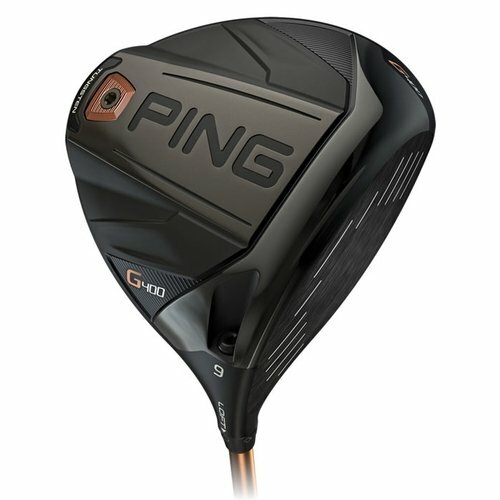 From the distinguished golf equipment manufacturer Ping, comes their latest driver, the G400. This driver is an absolute monster providing a quantum leap in distance as well as having one of the best feelings when the ball strikes the center of the sweet spot. Ball speed off of the clubface of the G400 is strong and consistent with a regularity saved for only elite-level drivers. In addition to its performance, the G400 is also one of the most attractive drivers we’ve tested in recent memory with a flared feature on top of the club head that shapes the center of the driver with a fresh look. The highlight of the Ping G400 driver is the Tungsten Back Weight. This rear weight on the clubhead can be fine-tuned to increase or decrease the loft of your clubface by up to one-degree of loft. The back weight also helps provide exceptional forgiveness as well as improved accuracy on your drives. The Tungsten Back Weight is coupled on the G400’s clubhead with Dragonfly Technology that forms a very thin and light crown on top of the driver that is aerodynamic, reducing drag and boosting swing speed, elements that are essential for the mid-handicapper. The center of gravity on the G400 has also been relocated in this new model to a lower and more central location for drives that trampoline off the forged face with incredibly high launch angle. The clubface on the G400 flexes at impact for a terrific sound and feel component that also improves accuracy to your intended target area. For a driver that looks incredible and performs even better, then the G400 would be a terrific addition to any mid-handicapper’s bag. Wilson’s newest driver takes advantage of their patented Power Holes technology to improve the flexibility of the clubface as well as increase distance. The Wilson Staff C300 is a dynamic driver with a weight system that can be easily changed anywhere on the course to reduce or increase spin as well as add a draw or fade bias to shape your shots as you prefer. Painted in a show-stopping red, the Staff C300 provides excellent contrast with the golf ball to give a clear and identifiable alignment system to improve your accuracy. The Power Holes technology has been used exclusively in Wilson irons, but with the C300, the company has brought the advantage to their new driver line. The Power Holes are Urethane-filled slots that are positioned around the clubface of the driver to minimize the friction between the clubface and the body of clubhead during impact so that the golf ball can take advantage of the flexible face as well as an expanded sweet spot. We loved the feel of the C300 as our testing progressed. Another terrific feature of the C300 is the adjustable hosel that increases or decreases the loft of the club by a couple of degrees in each direction. For the mid-handicapper struggling with distance, the C300 will offer several options to choose from that can boost carry and utilizes the advanced technology of the driver. Although it may not carry the same regard as a driver by TaylorMade or Callaway, especially ones with an advanced slider weight system, it would be a shame to overlook the Wilson C300 driver because it certainly delivers the goods on the tee box. 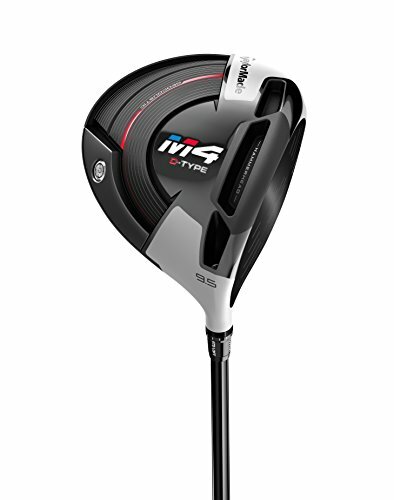 Forgiveness on the M4 is top-notch, noticed straighter more consistent drives than with other elite-level drivers. TaylorMade’s M4 driver is their latest addition to the historic run of quality drivers that the company has produced over the years. Several new features of the M4 are worth raving over. First, there is the company’s new Twist Face technology that has created a clubface that is curved to correct off-center hits. The M4’s clubface utilizes this technology to create drives that are straighter, longer and more consistent than any TaylorMade model we’ve ever tested. This driver is quite the creation and well worth the expensive price tag. The next feature that has golfer’s heads turning is the Hammerhead slot that rests behind the club face. This power slot expands the sweet spot on the M4 for incredible forgiveness that pushes the boundaries of what a driver can do for a mid-handicapper. In unison with the flexible and lightweight face, the Hammerhead slot ramps up swing speed for lower spin and greater accuracy on off-center strikes. Remarkable to feel, the Hammerhead slot alone is worthy of an M4 test drive on your closest range. Finally, the M4 has an aerodynamic design using TaylorMade’s Geocoustic technology for an incredible feel as well as a strong and dynamic sound off the clubface. Golfers love the M4 because the feedback instills confidence that carries over to every part of your game. The Geocoustic technology aids in increasing the sweet spot for drives that carry longer than any club you’ve ever played before. For the features and the unique construction, the M4 is a driver that stands among the best. Designed for the mid-handicapper, the engineers over at Cobra have created a fantastic driver known as the King F8. Featuring Cobra’s thinnest clubface ever, the F8 is built for speed but provides terrific forgiveness on those drives that don’t find the sweet spot. The oversized shape of the F8 takes advantage of Cobra’s first ever milled clubface on a driver to provide excellent feel throughout impact. We had a little trouble at times lining up the club with the ball due to the all-black finish, although there is a different silver finish available, but the design and appearance of the F8 is a show-stopper. Starting with the milled face, the King F8 has been designed to enhance the ball speed. Cobra’s production process ensures that the King F8 has a better thickness throughout the face to improve the ball speed at impact. The King F8 was consistently one of the longest drivers we tested for our review. 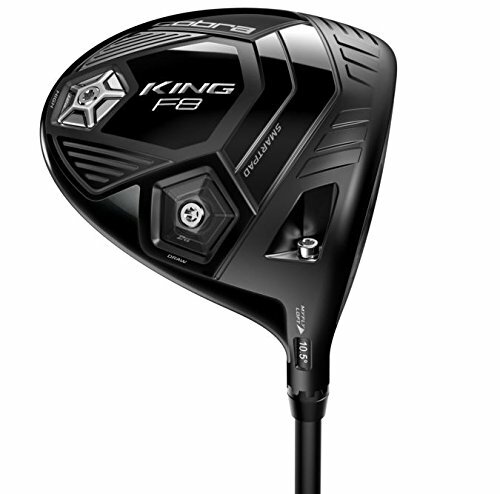 With the excellent feel, the King F8 was a high-performing driver that instilled confidence with each successful drive. Next, the sweet spot on the King F8 is one of Cobra’s largest with a uniquely designed clubface that utilizes more surface area for an expanded zone to crank solid drives down the fairway. Cobra’s Aero360 clubhead reduces drag on the downswing creating faster club speed and long distance. The King F8 has adjustable features that increase loft as well as set up a draw bias to help you correct your nagging slice. For dependable performance in a very affordable package, the Cobra King F8 is a driver that has a host of features and technology that will take your tee box game to the next level. Carving out a niche as one of the most affordable golf equipment producers on the market today, Pinemeadow has created a driver for mid-handicappers looking to correct their slice. The popular PGX Offset driver is a fixed hosel club that has a sleek matte-black look that is interested in only one thing, and that is giving you the ability to hit straight drives again. The PGX Offset driver from Pinemeadow has a sizeable 460cc clubhead for an extended sweet spot that assists in maximizing distance off the tee regardless of where you hit the golf ball off the club face. The offset in the PGX Offset driver is a slight alteration on the clubface that allows the face to square at impact for golfers who suffer from poor fundamentals. Hitting a slice is about not bringing the clubface back to a square position at impact, but Pinemeadow’s PGX offset driver helps give the golfer that fraction of a second back on the downswing to allow the face to square itself when the ball comes into contact with the face. Now, there are several knocks on the PGX Offset driver. Even though the club is highly affordable, it does not come with any adjustable features or higher-quality add-ons such as an off-market shaft or upgraded grip. The PGX Offset driver does utilize a graphite shaft to help keep the club lightweight, but the hosel is fixed so that the offset can be sturdy and stable through impact. Although it doesn’t have any of the upper-tier features that many drivers in this review carry, the PGX Offset driver can help you with your slice. The Cobra F-Max Offset driver has been engineered with a sole purpose, and that is to increase swing speed. From the clubhead to the shaft, Cobra has reduced the weight of the F-Max Offset driver to help mid-handicappers who struggle with swing speed reverse the trend of weak, short drives down the fairway. Instead, the engineers have given the F-Max Offset driver a heel weight that produces a draw bias on the club so golfers who need more ball speed and to correct their slice, can do so with the equipment rather than starting to learn their swing all over again. 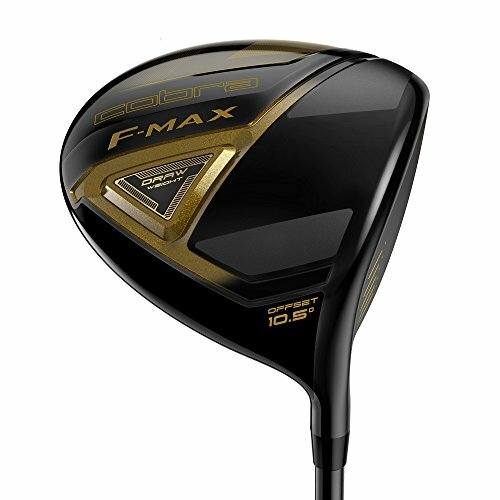 The F-Max Offset driver not only has a very large clubhead that increases forgiveness and maximizes the sweet spot but also places emphasis on increasing distance. With over 80% of amateur golfers have a slice tendency in their swing, Cobra set out to design a driver that helped the amateur reduce the severity of their off-center slices as well as gave them better launch angle. 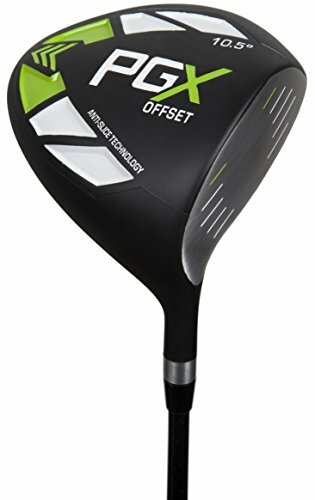 As a result, the F-Max Offset driver is a sturdy piece of equipment that we found significantly reduced our poor hits and rewarded our home runs. For golfers who would like to take the challenge to reduce their slice by correcting their swing fundamentals, then the F-Max Offset is probably the wrong club to own. But for the mid-handicapper who doesn’t have the time or money to spend on an exhaustive swing overhaul, the F-Max Offset is one of the best drivers for helping you correct your swing flaw. Callaway has produced a more affordable option for the mid-handicapper looking for a no-frills yet high performing driver in their X-Series model. This classic looking driver shares the same family line as their popular Big Bertha line but where the X-Series sets itself apart from its brother is with exceptional distance and pinpoint accuracy. The X-Series driver we tested was a solid performer that provided the results we’ve come to expect from a piece of Callaway equipment. 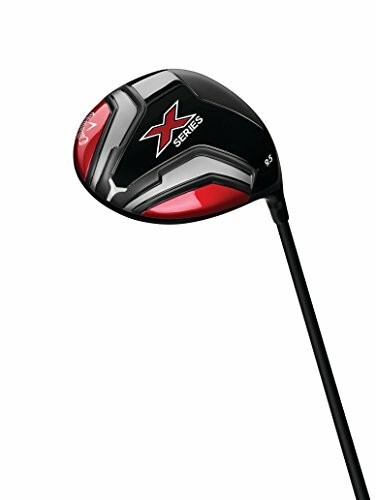 The ball speed and launch angle were commendable, and we enjoyed the feel of the X-Series driver at impact. The large clubface helped with forgiveness as we noticed that we weren’t wholly punished for our off-center strikes as much as other fixed hosel drivers. There are not any adjustable features on this club, and although that may be disappointing for some golfers looking for more adaptability with their driver, the X-Series does perform admirably throughout 18 holes. The X-Series does have a nice muscular build that keeps it lean and strong during the takeaway of a swing. On the downswing, the X-Series didn’t seem to catch much wind resistance and thereby, affecting ball speed. 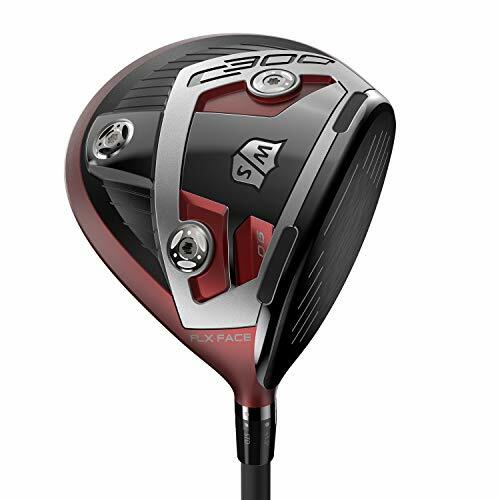 If you are looking for the name brand of Callaway at a fraction of the price of the Rogue, then the X-Series driver is an affordable and decent performing driver. Without adjustable features, you may become bored with the X-Series over time, but for the mid-handicapper looking for a good soldier to help trim their average score, the X-Series driver is up for the challenge. For the mid-handicappers, having a driver that looks well-made is extremely important because the look of the club instills confidence in the golfer. This may sound silly, but it is true that once the golfer has confidence in their equipment, they are free to concentrate solely on swinging the driver. Also when standing at address, having a high-quality driver that contrasts well with the golf ball allows the golfer to see and focus on the impact area. While it may seem superficial, by having a driver that the golfer knows will perform well on every shot, the trusted club allows them to relax and focus on the task at hand. The reason that feel is necessary with the driver is that the mid-handicapper wants to receive instant feedback on every shot. A high-performing driver will give the golfer strong feedback after impact, letting them know if they hit the center of the club face. Feedback from the driver also plays a part in the mental aspect of golf. If a golfer feels confident in their equipment and then they know when they are striking the ball well based upon the feel of the driver. When the response after hitting the golf ball is terrible, then the golfer can adjust their fundamentals such as stance or grip. For the mid-handicapper looking to make that jump into the single-digit handicap level, it’s essential to have a driver that is forgiving on off-center hits. Golfers need a driver that forgives bad strikes because mid-handicappers must maintain their distance on each drive. Mid-handicappers need to get the ball down the fairway as far as possible so that they are hitting shorter second shots. Finding a driver with maximum forgiveness allows the golfer to focus solely on making a reliable, yet powerful swing so they can hit shorter second shots into the green. Choosing the wrong loft on a driver is one of the biggest mistakes amateurs make. When they are reading about the top golfers in the world, and they see that Tiger Woods is hitting an 8.5-degree lofted driver, then they believe that they need a low-lofted driver. But what they don’t consider is that most amateurs don’t generate swing speed of Tiger Woods. So instead, the low loft on the driver keeps the ball limited in ball height and sends low liners into the fairway. Mid-handicappers would serve their game better if they found a modern driver with adjustable loft to increase their launch angle. Adjustable features on a driver are essential when attempting to improve the quality of your drives because you can change so many characteristics of the club. Adjustable weights in the sole of the club can affect everything from hitting a draw or fade, to improving launch angle and forgiveness. An adjustable hosel can place offset on the clubface also to change your shot shaping capabilities off the tee box. Adjustable features allow the golfers to play around with the specifications on the drivers so they can tailor make a ball flight that works best for their game. When should I use a golf driver? A driver can be used in multiple situations on the golf course. The most common way for a golf driver to be used is from the tee box. On longer par-4s and par-5s, a driver is almost a necessity to get the golf ball down the fairway to set up manageable second shots. Golfers may use hybrids or long irons on shorter par-4s that have doglegs or hazards that the player wants to avoid. On par-5s that are incredibly long, say 550-600 yards, it is not uncommon to see a golfer use their driver on their second shot, especially if their ball is sitting in the fairway. Adjustable drivers where the settings can be changed to allow for more loft are perfect for long second shots from the fairway. Another area that sees occasional, if not extremely rare, usage for a driver, is when the ball is sitting in the rough off the green. Drivers have large soles that do not hang when sliding through grass or longer rough, so golfers like to use their drivers to putt the golf ball toward the hole. What are the key factors to create an ideal golf shot with my driver? Hitting a great drive has specific swing elements that come together to produce a fairway-splitting shot. Golfers must have a strong and broad foundation that starts with their feet and legs. A full turn away from the golf ball coils the body to load up for a powerful downswing. And as the golfer makes their move toward the golf ball, the club lags behind the body to create maximum power. Hitting the golf ball with the driver is different than using an iron because the swing does not impact the ground. A sweeping arc that hits the golf ball on the upswing is vital for the driver to get the ball into the air. What features do the best golf drivers have? The best golf drivers on the market today share similar features such as adjustability in the hosel, weighted system on the sole of the driver, and clubface technology that allows for maximum forgiveness when hitting the golf ball. The best manufacturers of drivers will offer plenty of variety in these areas so you can easily find a driver that is best suited to your golfing needs. What’s the difference between drivers and woods? The main difference between drivers and woods involves the shape of the club and the loft of their clubfaces. Drivers have a shallow-lofted clubface because their primary goal is to strike the golf ball with maximum swing speed and deliver a launch angle that sends the ball down the fairway. Woods have a lower profile, meaning they are not as tall as drivers because they are intended for use from the fairway or light rough from a longer distance. Woods have more loft than drivers so that they can get the ball into the air quickly. Woods are primarily used from the fairway on par-5s and long par 4s, or off the tee box on holes where there are tight fairways. Drivers are almost exclusively used off the tee box and have the advantage of hitting the ball off a tee to encourage ball height. What is an adjustable driver and is it truly useful? An adjustable driver has several features that the mid-handicapper can change at any point in their round. Having this ability to alter the club allows the golfer to hit shots with the different shape. This can be useful if the golfer is having problems with a slice or hitting the ball too low. A few simple adjustments to the offset or the weights on the sole of the club can assist in correcting these swing issues. Adjustment drivers are handy for amateurs who are struggling to hit the ball straight or attempting to maximize their distance. How do you know if a driver is USGA-approved? The USGA maintains an up-to-date list of approved driver heads on their website. Before you purchase a driver, especially if you are looking at an off-brand custom made driver, then you need to make sure that the club will meet the USGA specifications for a legal playing club that can be used in tournaments and prevent you from being accused of cheating at your next event. How do I measure a golf driver shaft length? First, you will need a measuring stick that is at least four feet in length. What you want to do next is take the driver and hold it like you would when addressing the ball for a shot. The bottom of the driver is flush against the ground, and the shaft of the club should lie at an angle that points back to your waist. Take the measuring stick and place it underneath the shaft, first touching the area where the clubhead and ground meet. Then run the measuring tool along the bottom of the shaft to the bottom of the grip cap. The measurement will be the length of the golf shaft. For a mid-handicapper, should I get my driver custom fitted? The mid-handicapper should inquire about getting their driver custom fitted because professionals will utilize your swing data to find a driver that will not only maximize your distance and launch angle but find a driver that works best for your swing. If there is a downside to having your driver custom fitted, it is because the cost for the fitting and driver can be very expensive. That said, playing with a driver that has a high-quality grip, high-performing shaft, an adjustable hosel, and weight system all tailored to your swing will give you the best drives of your golfing career.